We’re pleased to announce the VIRB Ultra 30, a waterproof action camera with the power to shoot stunning Ultra HD footage at 4K/30fps. Conveniently small and lightweight, the VIRB Ultra 30 is rugged and ready for adventure with purpose-built features for users to tailor and relive their action-packed VIRB footage. Thanks to its high precision sensors and GPS, the action camera automatically gathers meaningful G-Metrix™ data to show how far, how high, and how fast users live their adventures. The versatile VIRB Ultra 30 introduces a suite of exclusive features unmatched by any other action camera on the market. This includes voice control, an intuitive LCD color touchscreen, one-touch live streaming, 3-axis image stabilization, and more. The action camera’s simplicity allows thrill-seekers to focus on their favorite sport or activity without complicated camera operations. Shooting rich Ultra HD video at 4K/30fps or securing slow motion video at 720p/240fps, is complimented by the action camera’s ability to capture crisp still photos using 12MP. In addition, smooth 3-axis image stabilization maintains steady footage regardless of the terrain. 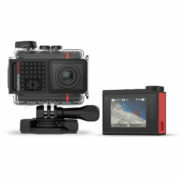 The VIRB Ultra 30 accepts one microSD card and includes a high-sensitivity microphone that records every breathtaking moment – even when the action camera is secured in the included waterproof case. The easy-to-use LCD color touchscreen was also designed to work in and out of the waterproof case to let users customize their settings and easily view what is being recorded. Furthermore, the waterproof case features a water-repellant, anti-glare coated lens to capture crystal clear video in water environments and more. 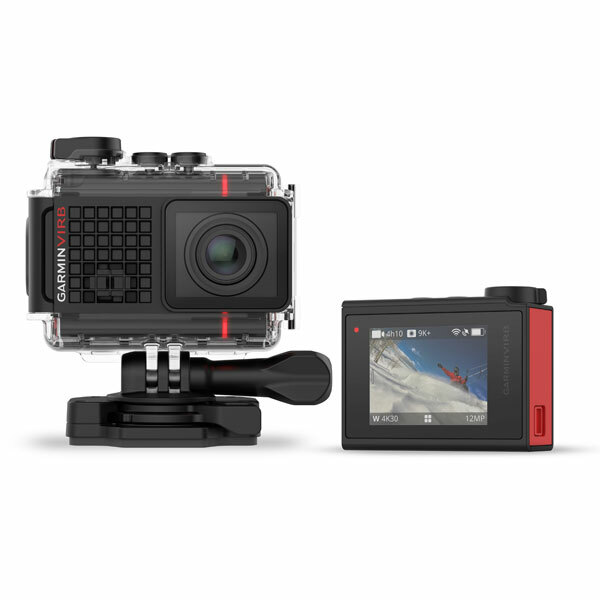 The VIRB Ultra 30 embodies power made simple like no other action camera with Sensory TrulyHandsfree™ voice control. Users can now speak several straightforward commands to the action camera, such as “OK Garmin, start recording,” or “OK Garmin, remember that,” to tag specific moments from recordings that can be effortlessly reviewed later on. The free Garmin VIRB app allows users to easily share high-definition VIRB Ultra 30 videos in real-time by streaming live to YouTube™, and upload video adventures on social media sites such as Facebook and Garmin Connect™ Share. Additionally, the VIRB app transforms smartphones or tablets into Wi-Fi® remote controls for the action camera. The feature-rich Garmin VIRB® Edit is a desktop editing software that can auto-create videos automatically highlighting the best moments captured by the VIRB Ultra 30. Devoted editors or newcomers can easily add preloaded music and animated G-Metrix data gauges to show off their own thrilling experience during an activity. 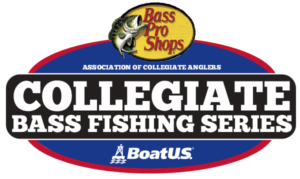 First Annual Brandon Card College & High School Bass Open Sunline Scholastic Special Offer!